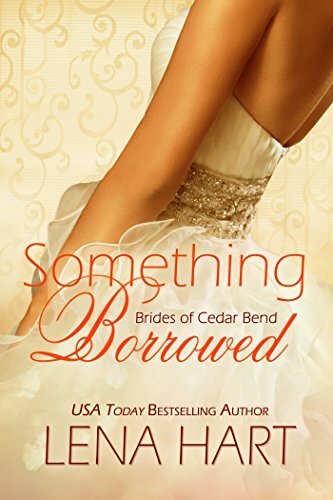 This is book 3 in the "Brides of Cedar Bend" series. I have read all 3 books in the series and each was is better than the last. Today is the release date of this newest addition and I just fell in love with these characters. First of all I have a thing with the tall, handsome, broody type and Jackson is the perfect example of this type of guy. He has a heart of gold and loves his brother Danny more than life itself. The meeting between Truth and Jackson is as unfortunate as it is steamy. Danny may have neglected to mention he was married to Truth and Jackson thought she was just a groupie. Flash forward to an awkward beginning of a good friendship and just as things are starting to get normal there's an accident and Jackson and Truth find themselves grieving. Neither person knows quite how to deal with the death of Danny so they end letting a year go by with no contact. 1 drunken call later and we have a truly great love story. Happy release day Ms. Lena!!! !